It’s been four months since Facebook launched IGTV, with the goal of creating a destination for longer-form Instagram videos. Is it shaping up to be a high-profile flop, or could this be the company’s next multi-billion dollar business? IGTV, which features videos up to 60 minutes versus Instagram’s normal 60-second limit, hasn’t made much of a splash yet. Since there are no ads yet, it hasn’t made a dollar either. But, it offers Facebook the opportunity to dominate a new category of premium video, and to develop a subscription business that better aligns with high-quality content. 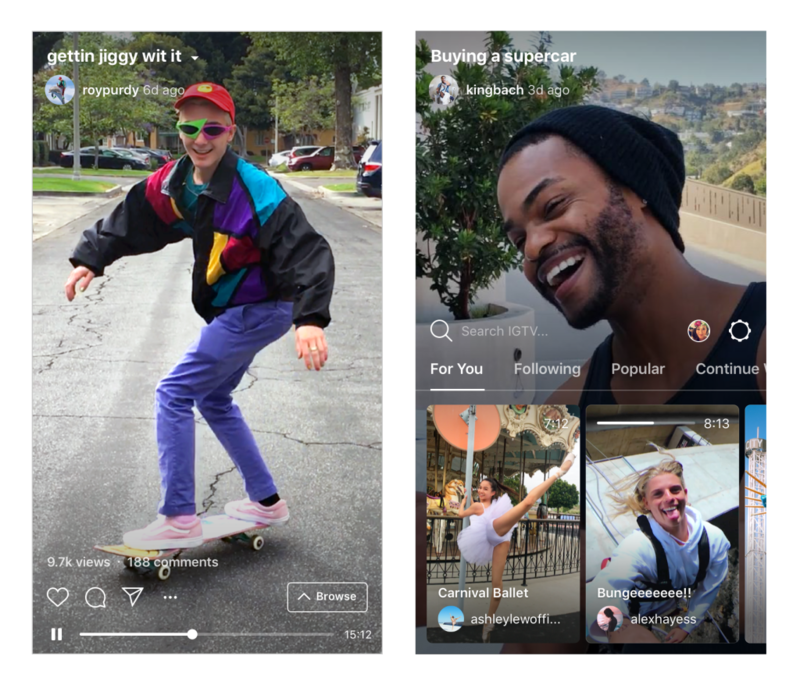 Instagram announced IGTV on June 20 as a way for users to post videos up to 1 hour long in a dedicated section of the app (and separate app). Its team should leverage the playbook of top TV streaming services like Netflix and Hulu in developing original series with top talent in Hollywood to anchor their own subscription service, but do in it a new format of shows produced specifically for the vertically-oriented, distraction-filled screen of a smartphone. Starting at its most basic iteration with everyday users’ recordings for Snapchat Stories, Instagram Stories, and YouTube vlogs, mobile video is a very different viewing environment with a lot more competition for attention. Mobile video is watched as people are going about their day. They might commit a few minutes at a time, but not hour-long blocks, and there are distracting text messages and push notifications overlaid on the screen as they watch. “Stories” on the major social apps have advanced vertically-oriented, mobile native videos as their own content format. When I spoke recently with Jesús Chavez, CEO of the mobile-focused production company Vertical Networks in Los Angeles, he emphasized that successful episodic videos on mobile aren’t just normal TV clips with changes to the “packaging” (cropped for vertical, thumbnails selected to get clicks, etc.). The way episodes are written and shot has to be completely different to succeed. Chavez put it in terms of the higher “density” of mobile-native videos: packing more activity into a short time window, with faster dialogue, fewer setup shots, split screens, and other tactics. With the growing amount of time people spend watching videos on their social apps each day—and the flood of subpar videos chasing view counts—it makes sense that they would desire a premium content option. We have seen this scenario before as ad-dependent radio gave rise to subscription satellite radio like SiriusXM and ad-dependent network TV gave rise to pay-TV channels like HBO. What that looks like in this context is a trusted service with the same high bar for riveting storytelling of popular films and TV series—and often featuring famous talent from those—but native to the vertical, smartphone environment. Quibi’s funding is coming from the world’s largest studios (Disney, Fox, Sony, Lionsgate, MGM, NBCU, Viacom, Alibaba, etc.) whose executives see substantial enough opportunity in such a platform—which they could then produce content for—to write nine-figure checks. Snapchat announced its Snap Originals last week. Facebook is the best positioned to seize this opportunity, and IGTV is the vehicle for doing so. Without even considering integrations with the Facebook, Messenger, or WhatsApp apps, Facebook is starting with a base of over 1 billion monthly active users on Instagram alone. That’s an enormous audience to expose these original shows to, and an audience who don’t need to create or sign into a separate account to explore what’s playing on IGTV. Broader distribution is also a selling point for creative talent: they want their shows to be seen by large audiences. The social nature of Instagram is an advantage in driving awareness and engagement around IGTV shows: Instagram users could see when someone they follow watches or “likes” a show (pending their privacy settings). An obvious feature would be to allow users to discuss or review a show by sharing it to their main Instagram feed with a comment; their followers would see a clip or trailer then be able to click-through to the full show in IGTV with one tap. Developing and acquiring a library of must-see, high-quality original productions is massively capital intensive—just ask Netflix about the $13 billion it’s spending this year. 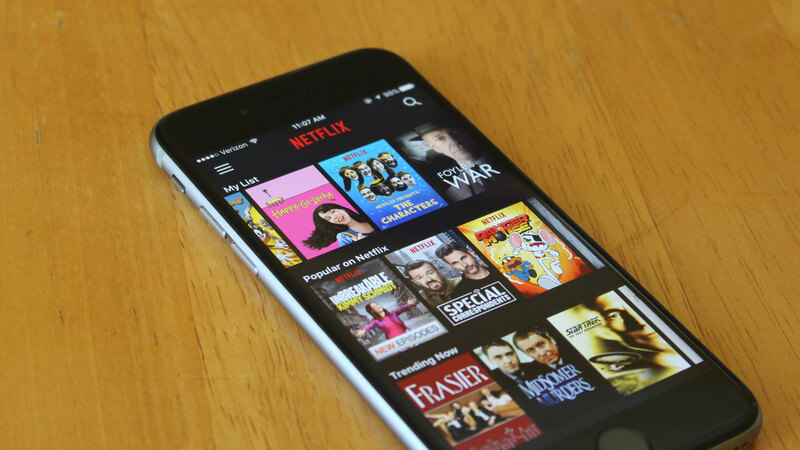 Targeting premium quality mobile video will be no different. That’s why Katzenberg and Whitman are raising a $2 billion war chest for Quibi and budgeting production costs of $100,000-150,000 per minute on par with top TV shows. Facebook has $42 billion in cash and equivalents on its balance sheet. It can easily outspend Quibi and Snap in financing and marketing original shows by a mix of newcomers and Hollywood icons. Snap can’t afford (financially) to compete head-on and doesn’t have the same scale of distribution. It is at 188 million daily active users and no longer growing rapidly (up 8% over the last year but DAUs actually shrunk by 3 million last quarter). Snapchat is also a much more private interface: it doesn’t enable users to see each others’ activity like Facebook, Instagram, LinkedIn, YouTube, Spotify, and others do to encourage content discovery. 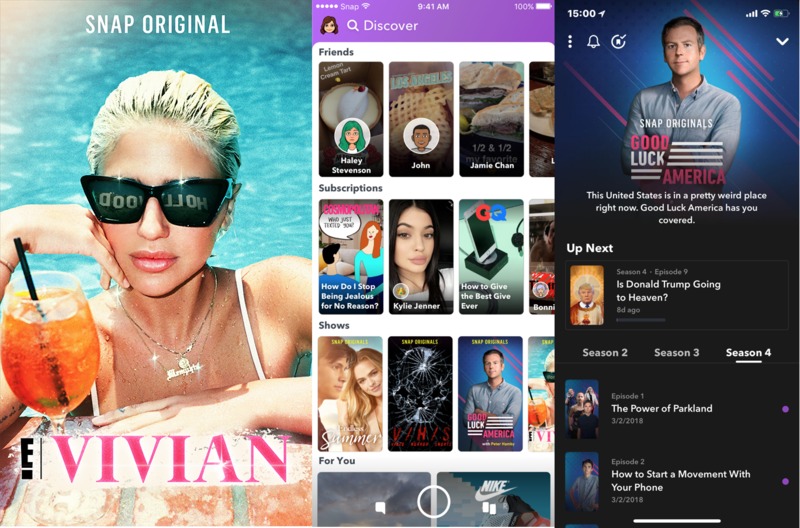 Snap is more likely to create a hub for ad-supported mobile-first shows for teens and early-twentysomethings rather than rival Quibi or IGTV in creating a more broadly popular Netflix or Hulu of mobile-native shows. Of equal importance is incentive alignment. Subscriptions are defined by “time well spent” rather time spent and clicks made: quality over quantity. This is the environment in which premium content of other formats has thrived too; SiriusXM as the breakout on radio, HBO on linear TV, Netflix in OTT originals. The type of content IGTV will incentivize, and the creative talent they’ll attract, will be much higher quality when the incentives are to create must-see shows that drive new subscribers than when the incentives are to create videos that optimize for views. Over the years, Facebook has dragged media companies up and down with changes to its newsfeed algorithm that forced them to make dramatic changes to their content strategies (often with layoffs and restructuring). It has burned bridges with media companies in the process; especially after last January, how to reduce dependence on Facebook platforms has become a common discussion point among digital content executives. If Facebook wants to get top producers, directors, and production companies investing their time and resources in developing a new format of high-quality video series for IGTV, it needs an incentives-aligned business model they can trust to stay consistent. Looking at the growth of Netflix in traditional TV streaming, a subscription-based business should be a welcome addition to Facebook’s portfolio of leading content-sharing platforms. This wouldn’t be its first expansion beyond ad revenue: the newest major division of Facebook, Oculus, generates revenue from hardware sales and a 30% cut of the revenue to VR apps in the Oculus app store (similar to Apple’s cut of iOS app revenue). Facebook is also testing a dating app which—based on the freemium business model Tinder, Bumble, Hinge, and other leading dating apps have proven to work—would be natural to add a subscription tier to. Facebook is facing more public scrutiny (and government regulation) on data privacy and its ad targeting than ever before. Incorporating subscriptions and transaction fees as revenue streams benefits the company financially, creates a healthier alignment of incentives with users, and eases the public criticism of how Facebook is using people’s data. Facebook is already testing subscriptions to Facebook Groups and has even explored offering a subscription alternative to advertising across its core social platforms. It is quite unlikely to do the latter, but developing revenue streams beyond ads is clearly something the company’s leadership is contemplating. IGTV needs to make product changes if it heads in this direction. Right now videos can’t link together to form a series (i.e. one show with multiple episodes) and discoverability is very weak. Beyond seeing recent videos by those you follow, videos that are trending, and a selection of recommendations, you can only search for channels to follow (based on name). There’s no way to search for specific videos or shows, no way to browse channels or videos by topic, and no way to see what people you follow are watching. It would be a missed opportunity not to vie for this. The upside is enormous—owning the Netflix of a new content category—while the downside is fairly minimal for a company with such a large balance sheet.